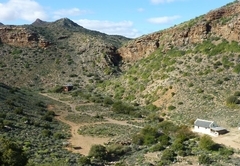 Bushman Valley is a property providing self catering in Prince Albert for tourists visiting the Karoo region. 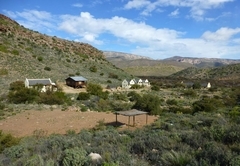 Offering self catering accommodation and nestled just south of Prince Albert and stretching all the way up to Eerstewater in the Swartberg Mountains is Bushman Valley. 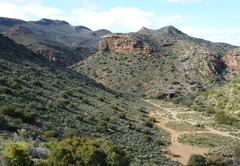 With an abundance of hiking trails you will discover some of South Africa’s fold mountain formations, fossils and hardy vegetation. 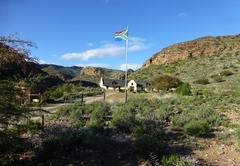 We are located just four kilometers south of Prince Albert on the tar road, before the turnoff to the Swartberg Pass and are well signposted. Braai facilities and a splash pool are available for our guests to use. Each cottage sleeps two persons. 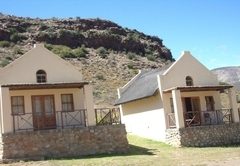 The cottages have a fully equipped kitchen and bathroom with shower. The units are thatched and have air-conditioning. This cottage sleeps seven guests. There are three single beds and two bunk beds. 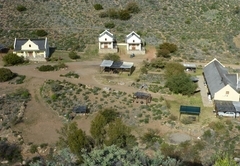 There is a fully equipped kitchen and bathroom with shower. 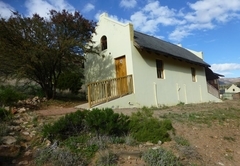 The cottage is thatched and has air-conditioning for the hot summer months. This cottage sleeps five guests. The one bedroom cottage has a lounge, dining room and mezzanine platform. 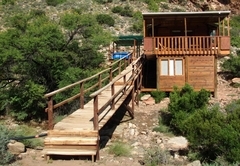 There is a fully equipped kitchen and bathroom with shower. 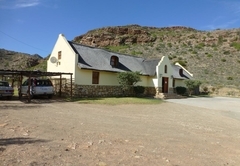 The cottage is thatched and has a decked area with great views. This cottage sleeps four guests. There is a double en-suite room upstairs with a kitchenette and a balcony area that can be closed off to accommodate extra beds if needed. 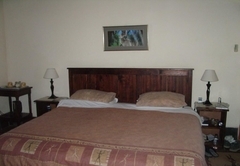 Downstairs there is a double room with two single beds. 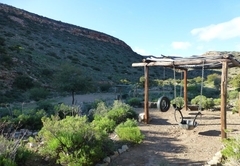 The cottage offers braai facilities, wonderful views, solar and gas. The Lodge room sleeps a maximum of three guests. It contains three single beds, tea / coffee facilities, en-suite bathroom and air conditioning. We invite everyone to come share this nature reserve with us. 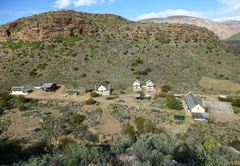 Enjoy a scenic drive up the famous Swartberg Pass and get to learn some history about the area. 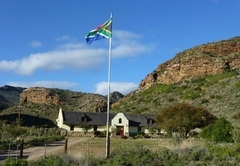 Wildlife in this part of the country includes kudu, black eagles, bush buck, porcupine, dassie, klipspringer, baboons and tortoise. 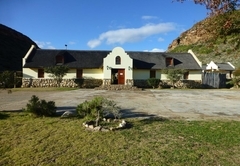 Luxury thatched air-conditioned self-catering cottage. View from balcony. Large Luxury thatched air-conditioned cottage. Views from balcony. 3 single beds and 2 bunk beds. 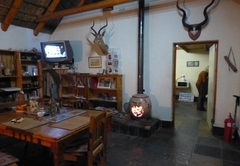 Room in lodge, with 3 single beds, air-conditioned with coffee facilities and en-suite. One bedroom cottage, lounge dining room and mezzanine platform. Self-catering. Deck with a view. Double room upstairs with en-suite and kitchenette, balcony that can be closed in with additional beds if required and a double room downstairs with 2 singles. 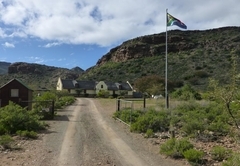 Private views and braai facilities. Solar and gas, Splash pool for private use. Response timeBushman Valley typically responds to requests in 5-10 minutes.